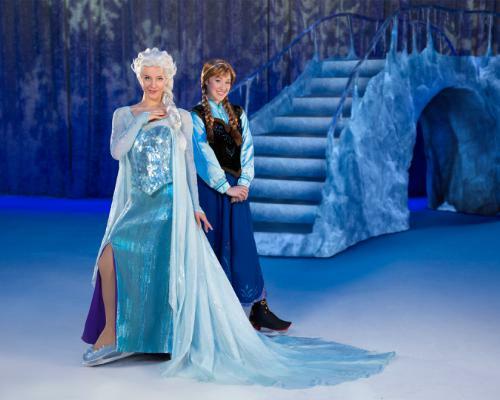 When Disneyland began hosting daily meet-and-greets with princesses Anna and Elsa from the 2013 film “Frozen,” patrons formed lines with wait times regularly exceeding two hours. It was unprecedented, even by Disneyland’s standards. To shorten those waits, Disney recently introduced what it calls a “virtual queue” system not unlike the Fastpass system that the theme park uses for its busiest attractions. The system is still a work in progress, Disney spokesman John McClintock said, but two weeks in, it has reduced wait times substantially. The virtual queue is first-come, first-serve. Unlike the Fastpass system, there is no stand-by line for guests without return tickets. Return tickets are distributed near the attraction at the beginning of the day, and to receive one, patrons are required to show their admission ticket or annual pass. Guests can collect return tickets for family members and/or friends only if each patron’s admission ticket or annual pass is provided. Return tickets are issued, at no additional cost, until no more remain. At this point in the queue’s infancy, 18 to 20 return tickets are distributed per return time. The “Frozen” room typically closes around 8 p.m.
Windows for return tickets are each 20 minutes, and when guests return, they must present their return tickets and admission passes. Return tickets cannot be given to other patrons. Guests then stand in line until it is their turn to enter the room; on Friday morning, the line ranged from being empty to perhaps a 20-minute wait. In February, a Register story detailed how guests endured two-hour waits or longer and said how the meet-and-greet, which originally was supposed to close shortly after the film’s release, was extended indefinitely. Once inside the log-cabin-style house, guests have however long they want to take pictures, exchange autographs and interact with the characters. One group is permitted inside the house at a time, and groups typically leave after five to 10 minutes. On Friday, McClintock said there was no announcement made by Disney introducing the virtual queue to pass-holders and regular guests. Word of the new system spread through blogs and guests’ word of mouth, McClintock said. Isaac Pierce, 27, of Anaheim said Friday that he and his friends waited about 45 minutes to receive their return tickets.